Welcome to emulatordb.com if you came here to download a ps2 emulator then your in the right place! There is one good Playstation 2 emulator, we reccommend PCSX2. Undoubtedly the best emulator out there for PlayStation 2. Easy to install & configure we made a video step by step tutorial you can watch it below. Now you are ready to run the emulator go to “C:\Program Files (x86)\PCSX2 1.0.0\” and open pcsx2.exe you will get booted with a first time run window. First they will ask for the languidge, select USA and click next -> Now just keep the default selected plugins and click next. Then the emulator will ask you for the ps2 bios if you did eveything right in step 2 it should show you a list of files Europe/Japan/ASA, select USA and click Ok.
Now the emulator is fully configured and will be able to open PS2 DVDs or .iso disk images, you can download these from the internet… 🙂 To load a game simply click System>Boot CDVDFULL and select the .iso file of a PS2 DVD. According to all legal precedents, emulation is legal within the United States. However, unauthorized distribution of copyrighted code remains illegal, according to both country specific copyright and international copyright law under the Berne Convention. Obtaining games through methods not authorized by the developer or publisher is illegal in the United States. Under United States law, obtaining a dumped copy of the original machine’s BIOS is legal under the ruling Lewis Galoob Toys, Inc. v. Nintendo of America, Inc., 964 F.2d 965 (9th Cir. 1992) as fair use as long as the user obtained a legally purchased copy of the machine. The PlayStation 2 (PS2) is a gaming console from Sony, which was released on March 4, 2000 in Japan, in the United States on 26 October 2000 and in Europe on November 24, 2000, as the successor to the PlayStation. A few years later ps2 emulation started to pop up, these early stage emus could only run home brew games and where full of bugs. Now many years later ps2 emulators are almost bugless and can play almost any game on your PC with good fps(frames per second). 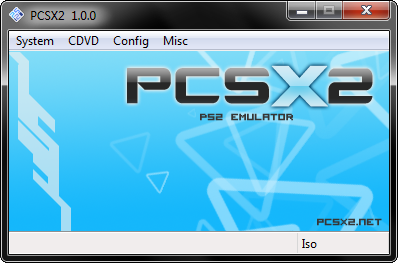 If you don’t know how to install/config a ps2 emulator then click here. Or you can search on YouTube and find dozens of videos explaining how to play PlayStation 2 games on your PC. I believe you should a create the folder yourself. Where I can Download Pcsx2 Game ??? Share the link Plz . . .
where can i download the ps2 emulator games? Can somebody port this to Android?